I'm so sorry I missed yesterday. I literally had no time. Church in the morning, then work a little afterwards, then a party for the rest of the day (but I'm gonna be honest. the party was worth it). Anyway, today's topic is WAY awesome. So I'm gonna do that one today, and just have a few words for today's post. Yesterday: Day 19, Sunday: Five of your favorite blogs and what you love about them Okay, this is SO easy (in no particular order): 1. (I did post about the other day right here) Jess from Yours Truly - she always makes me happy. every post i read just makes me happy. 2. Hannah Nicole from Hannah Nicole - she has this serious was with words. They're so powerful the way she puts them. And also her photography is so raw and beautiful 3. Illy from Much Love, Illy - she is so cute. nuff said. 4. Grace from Grace Loves the Beatles - she's just awesome, guys. I can't explain it. 5. Emma and Elsie from A Beautiful Mess - their blog is amazing. I love their DIY projects, and their new app ROCKS. (okay, and there are so many more favorite bloggers... I've listed them all here [and i need to update that]. 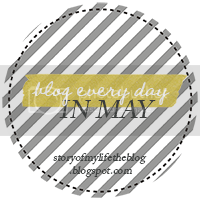 Oh, and I also have some amazing bloggers guest posting for me soon! whoo!) Today: Day 20, Monday: Get real. Share something you're struggling with right now. I did post about this the other day. I struggle with that and also I (not constantly, just some days) struggle with self acceptance. That's it, folks! What are your favorite bloggers? What do you struggle with? xo, RN ps- don't forget to ask me a few questions here!